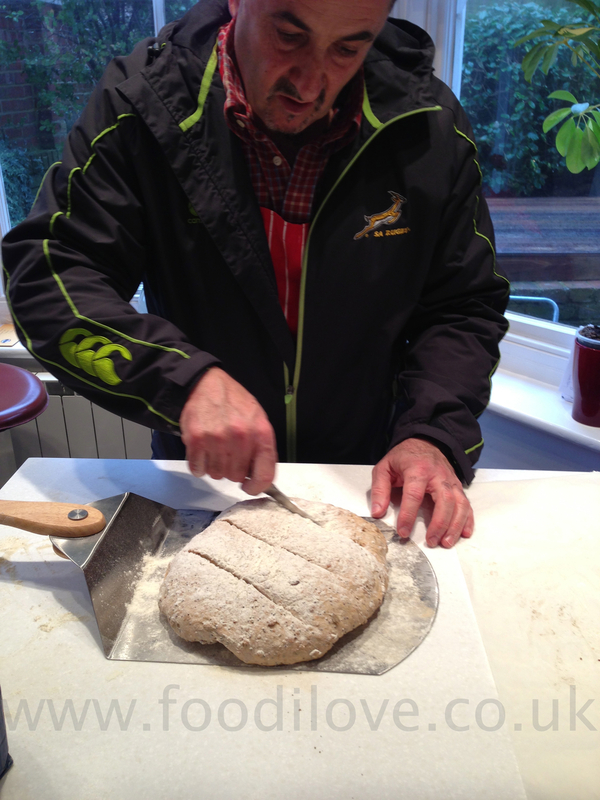 Fresh Bread Baking on the BigGreenEgg Braai, hmm! 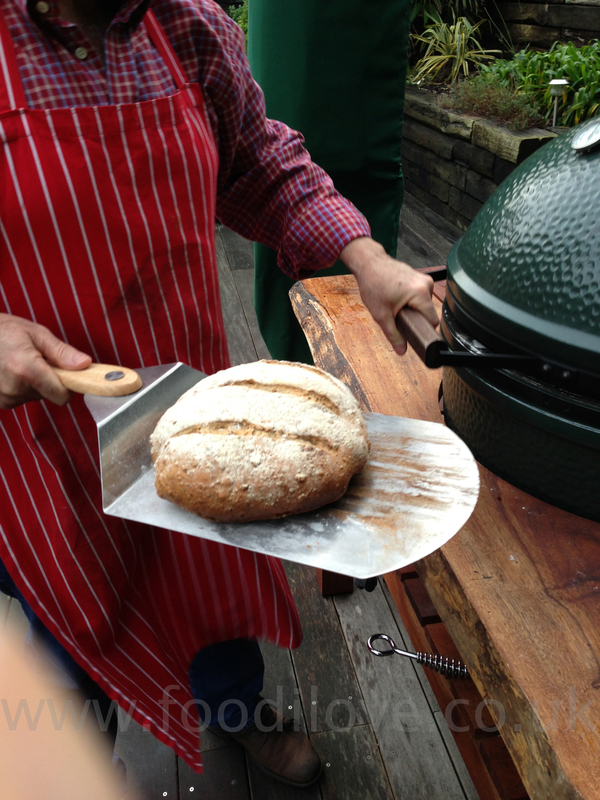 Quick and easy White and Brown Bread on the BigGreenEgg! Its still raining out there and all the stats show that its been the wettest year since records began in England and I like a doos decide to Braai every week for a Year!! What more can I say? But the truth is I've loved doing it, thats the braaiing side of things, having to write it up so that you can all see what you can actually cook on a braai apart form the traditional Steak, Chops and Wors has been challenging to say the least. From the feed back so far I think that i'm getting the balance right but if there is anything you would like to see me cook, please feel free to let me know below. 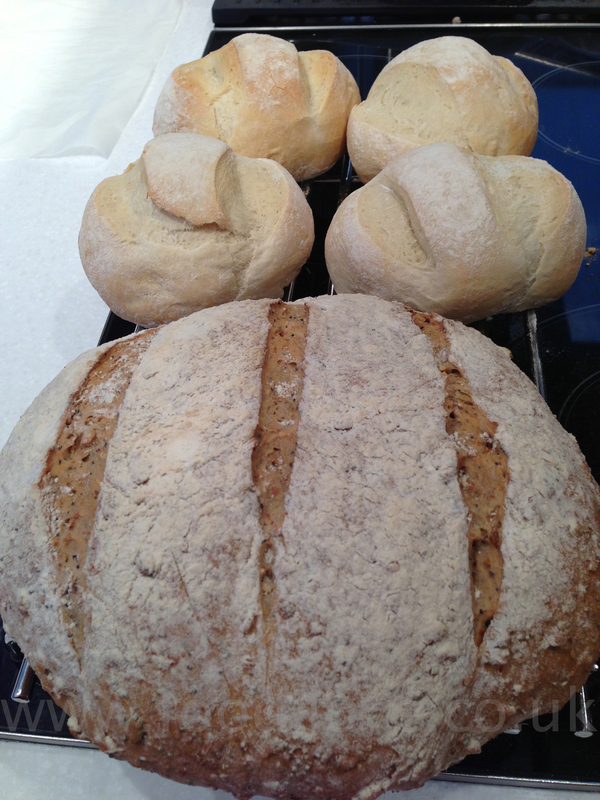 This week I'm going to make some home made bread and it not as hard as you think. I'm making both white and brown so check them both out and see which you prefer. Personally I think the brown it 10 times better. The method for making both is the same but obviously the recipes are different so I will not be repeating the method twice. Okay, put the sugar and yeast into small bowl and stirring in 90 ml of the water. Leave it in a draft free spot to activate. If it doesn't start bubble and ferment in about five minutes, then you are going to have to start again as this is an important part process. Your yeast must be fresh and active as this is what is going to make your dough rise. Then mix the flower and salt in a bowl or food processor fitted with a plastic blades, do it by hand it's a lot more fun. 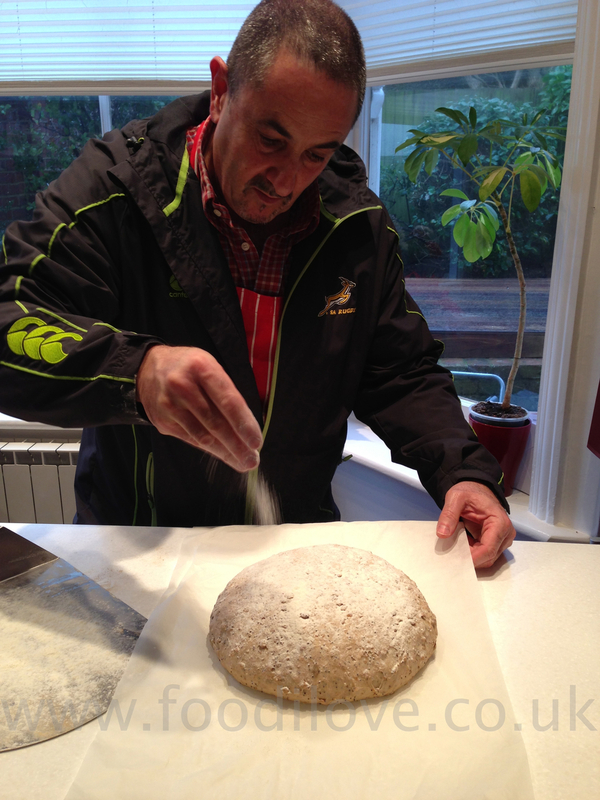 Add the olive oil and the remaining water to the flour as well as the balance of the yeast mixture and start to stir until it makes a loose crumbly mix, then roll into a ball and empty it onto flat surface covered with flour. Now you are going to have to knead for at least eight to ten minutes. If you need to add a little more flour or a few drops of water do so as necessary. The final dough should not be sticky but is dry to the touch. Next rub the inside of a large bowl with some olive oil, place you dough mix into it and then roll the ball around the bowl and coat with the olive oil. Then cut small crossing the top of the dough with sharp knife and cover with a teacloth or put it in a large plastic bag with space to grow and leave in a draft free area for about 1 - 1.5 hours until the dough has doubled in size. Once it has risen quite substantially, to double its original size, you will need to punch it down to reform it to the size it was originally. You'll notice that it seems to be very light and airy (it will be slightly heavier with the brown) and if it's like this then you're onto a winner. At this stage you can now store it for up to 4 hours in the fridge to use later, just remember to bring it back to room temperature before you start to use it. This is where the fun starts, I'm going to make the white into rolls and leave the brown as one large loaf so cut your dough into 4 and roll into balls, then using the palm of your hand you are going to kneed the dough for a second time for a minuet or two. Then reshape and cover with a teacloth or put it in a large plastic bag with space to grow and leave in a draft free area for about another two hours to prove again. I suggest leaving it at this stage on the baking tray or bread peel that you will use to put it in the braai to cook with. This is so that you don’t have to pick the dough up again, which will cause you to knock the air out of it and this is where it will sink and you will end up with a poorly risen loaf of bread. 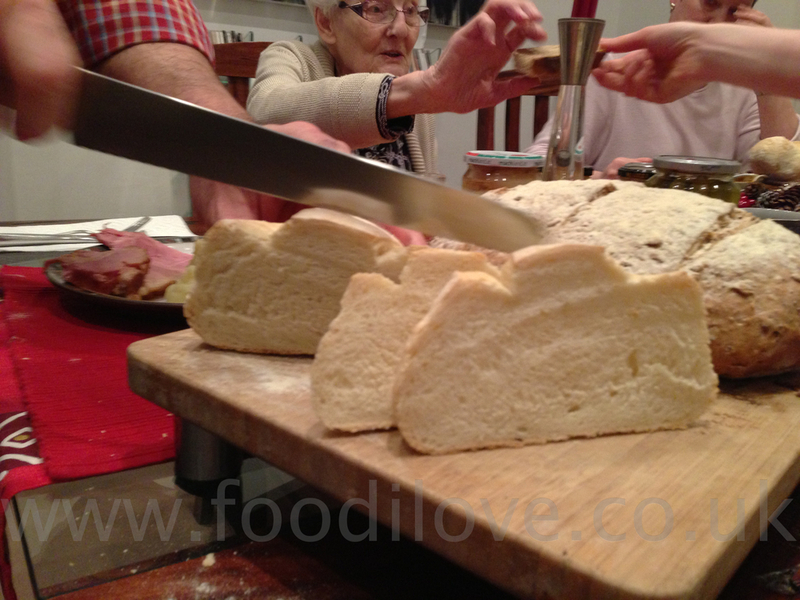 All you will need to do now is cut two or three cuts along the dough, this not only makes it look good but helps with the even baking of the bread, just sprinkle some flour over the dough and this will also stop it from burning the top of the bread. 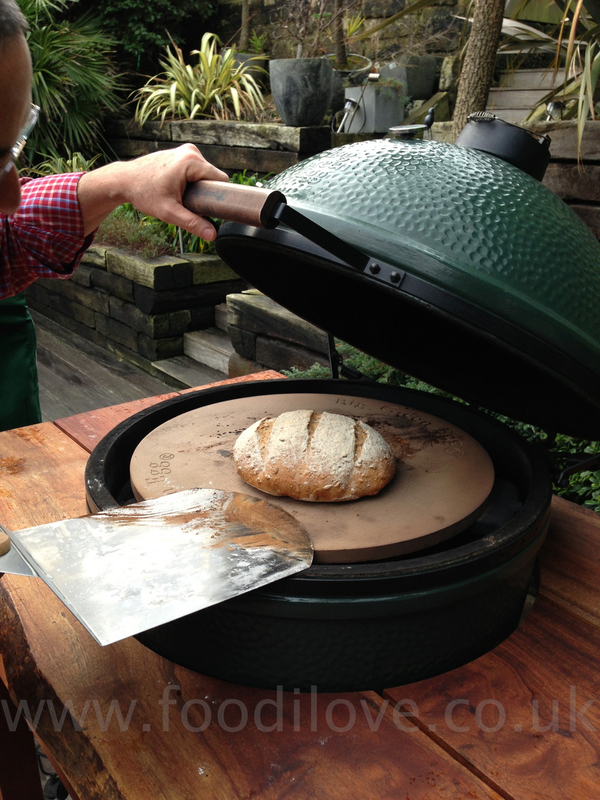 Place it in the braai/BigGreeEgg and close the lid, whatever you do don’t be tempted to open the lid for the first 10 mins of the bake. This will only cause the bread to deflate and sink not only that it also stops the yeast from being baked off. If you don’t allow the heat to kill the yeast you will end up with a severe case of indigestion, as the bread will still be fermenting in your chest after you have eaten it. Once cooked place on a rack to cool for 20 mins at least below you are tempted to break open and eat. That is going to be the longest 20 mins that you will have experienced for a while. 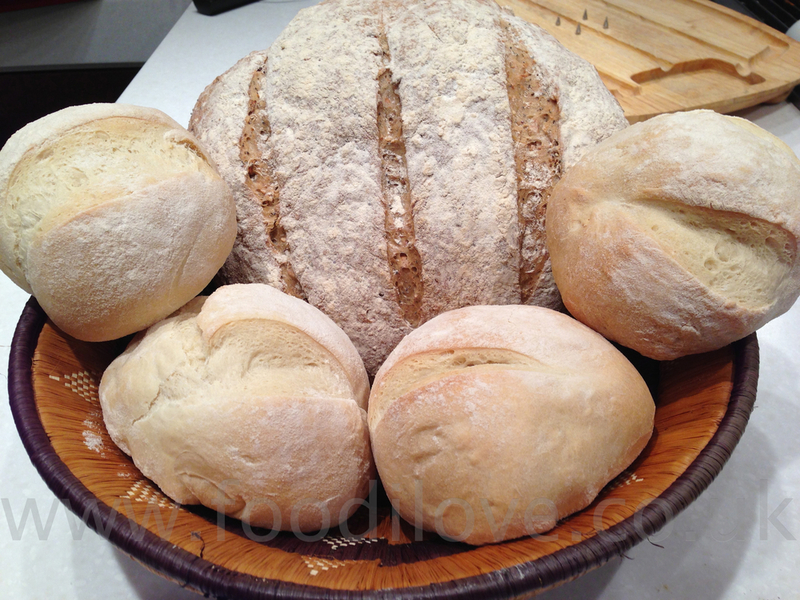 The smell of freshly baked bread is just so tempting and will bring back memories of your childhood that you did not know you had. 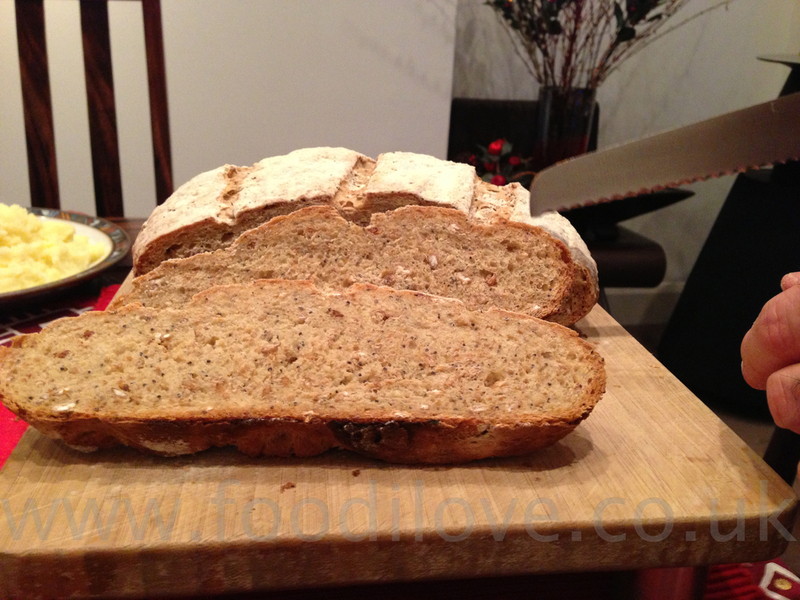 My whole family just loved the brown loaf and said it was better than anything we can buy locally, which is fantastic but now they want me to bake it every other day, Help! All you need now is some cold fresh butter, none of that margarine crap please and a big dollop of fig Jam, Hmmmm.